Over my 40 year career practicing law in the area of intellectual property, some of the most common questions that I receive on a regular basis have to do with trying to figure out what a patent is, exactly, and how it fits into one’s overall business plan. Therefore, I am happy to provide this basic summary to help familiarize yourself with this important tool for protecting your ideas and inventions, and developing a solid business strategy. A patent is a grant of exclusive rights to make, use, or sell an invention for a specified period of time. Under the Canadian Patent Act, the term of protection commences with the grant of the patent and expires 20 years from the date the application was filed. Canadian Patent Applications are published 18 months after their filing date or convention priority date, whichever is earlier. Some rights will be retroactive to the application publication date. In the United States, the period of protection is now 20 years from the effective US filing date of the patent. U.S. patent applications no longer remain confidential until a patent is granted, but are published eighteen months after filing. Patents protect "inventions" which are defined as any new and useful art, process, machine, manufacture or composition of matter, or any new and useful improvement thereof. (d) it is unobvious, meaning the differences between what was known (the prior art) and the invention must be sufficient to warrant protection. For example the differences provide better performance, overcome problems experienced with the prior art, result in lower costs of manufacture, etc. Canada and most other countries in the world determine entitlement between inventors of the same invention based on who has the earliest filing date. In Canada and the United States, there are so-called grace periods of one year which permit limited public disclosure and test marketing before the filing of a patent application. However, if patent protection is desired elsewhere - or if the right to seek patent protection elsewhere is to be preserved for one year - then a patent application must be filed somewhere before any public disclosure or non-secret use of the invention (since most countries do not have such grace periods). If patent protection is desired in foreign countries, applications eventually must be filed in those foreign countries. Most developed countries of the world are signatories to the Paris Convention, which provides that any application filed within one year of the first patent application is treated as if it had been filed on that first filing date. The Patent Cooperation Treaty, which Canada implemented effective January 1, 1990, and the European Patent Convention, offer some advantages for multi-country filings. A patent search, which is advisable but not necessarily essentia1, prior to the filing of an application, usually costs from $1,500 to $3,500 or more, depending on complexity and volume of references uncovered, including a patent-ability opinion. While every effort is made to locate the most relevant prior art within the time allowed, the reliability of the search results can be prejudiced by missing patents, mis-filed patents, mis-classified patents, and mis-information from Examiners as to fields of search. In addition, only patents and published patent applications can be searched. There may well be pending patent applications on file that would not be uncovered in the search would prevent a later filed patent application from issuing. A typical “first-country” patent application costs $6,500 or more to file, depending on the complexity of the invention. Subsequent country filings are typically $3,000 to $4,500 in English language countries, and $5,000 or more in some foreign language countries. To file in Japan, for example, typically costs are over $5,000. Filing an application to cover European countries under the European Patent Convention typically costs $7,500 to $12,000 depending on the number of countries selected. If it is important to get a filing date quickly and at a low cost (or prior to a public disclosure of the invention), it may be appropriate to file a provisional or preliminary application as a first step. The application is considered preliminary in that it focuses on insuring that there is a full disclosure of the novel idea recognizing that after the final product development and before it has been manufactured or sold, amendments may be likely. The costs of preparing and filing a preliminary application are based on a technical description including drawings, notes, and such to be provided by the client. On receipt of this material we can give an estimate of our fees for preparing a preliminary application, but typically try to keep them below $3500. If using a US Provisional application to get an early filing date, the provisional application will automatically be abandoned after one year and a regular US or PCT patent application must be filed within the one year period to maintain the right to the filing date of the provisional application. Preparation of a regular patent application after a provisional filing focuses on defining the exclusive rights requested or the claims. Using a real estate analogy, claims are like the fences around your property. In addition, the descriptive portion of the application may be amended consistent with the claims, and to add any new information developed or aspects changed since the original filing. After filing, the application may be “in prosecution” for two to five years, involving further costs depending on the number and complexity of arguments raised by the Patent Office in what are commonly referred to as "office actions". If the application is allowed, there is then a further government fee for the issuing of the patent, and in most countries there are "maintenance fees" payable periodically during the life of the patent if the patent is to be kept in force. It is obviously important to evaluate the anticipated market for the invention before committing to such expenditures. Need help with the cost-benefit analysis of pursuing a patent application? Thank you for having interest in our intellectual property legal services. Your message has been received and we will happy to respond to you within the next 24 hours to let you know how we can help. If this is an urgent matter that requires immediate assistance, please feel free to call James Carson, our Carson IP division leader at (416) 529-6129. Provided the first patent application was filed before any public disclosure of the invention and a patent has yet to be issued, the deadline for filing any patent applications in other countries is one year from the filing date of the original application. International filings can be effected country by country but, except in cases involving only one or two countries, we usually recommend filing a single international application under the provisions of the Patent Cooperation Treaty (PCT) in which you ultimately designate the various countries in which protection is desired. 1. Much of the expense is deferred until 30 months after the original filing date, instead of just for the 12 month priority period. This permits many more countries to be designated than might otherwise be manageable from a cost viewpoint, and provides more time to decide in which countries protection is important for commercial success. 2. International preliminary examination of the application permits arguments to be filed and amendments to be made in a single international procedure, instead of on a country by country basis, thus potentially saving significantly on costs. 3. The international application can be filed much more expeditiously, since only a single power of attorney form is required, rather than one being required for each country and since no translations are required at the time of filing. Not all countries are members of the PCT. The list of member countries is continuously expanding as more countries become a contracting state to PCT. If protection is desired in any country that is not currently a member of the PCT, a separate application must be filed in that country within the priority period. With respect to European countries, although the option of designating countries individually is provided, in most cases applicants designate the "EP" box to seek a regional European Patent. The cost of filing a previously prepared application as a PCT application including our fees is about $7,000. The filing costs include our fees, the PCT fees (transmittal fee, basic fee and the international search fee). The PCT fees change about every six months and need to be confirmed in each case before filing. Additional costs not included in the above figures include: the cost of certified copies of the original application, disbursements such as long distance telephone, fax, courier, photocopies and HST and any amendments to the application prior to filing. (a) The International Search Report is typically received 16 months after the priority date. There is a $500 minimum fee for reviewing the search report. We may recommend amendments to the application to distinguish over any new art uncovered in the search report. The cost of the preparation and filing of any amendments will vary from case to case. (b) By 19 months after the priority date, you must make an election whether to proceed with International Preliminary Examination (IPE) of the application. Cost about $1200. (c) At the same time as requesting Examination, there is an opportunity to amend the application and file arguments to address issues raised in the International Search Report. Typical charges of $500 to $2,000 would apply, depending on complexity. (d) By 30 - 31 months after the priority date, the application must enter the national phase of selected countries. Some countries require national phase entry after 20 months from the priority date unless a Demand for Preliminary Examination has been filed. This costs approximately $3,500 to $5,500 per country plus translation costs if applicable. It is at this stage that the major expenses are incurred, so a decision may be made not to proceed in certain countries. Due to the amount of work required for PCT filings, we require a financial retainer in the full amount of the anticipated filing costs prior to beginning the process. Seek advice from a registered patent agent or lawyer specializing in patent law at an early stage of the product development process. Develop a rational plan based on the advice provided, instead of jumping into a poorly conceived patenting program or not considering all the potential implications of activity that can prevent worthwhile inventions being protected. Obtain an assignment in writing of any rights arising from anyone who may have assisted you on the development of the invention with an obligation to execute any other documents required for you to be the owner of all rights. Make sure all preliminary disclosures of an invention to manufacturers, investors, and such are pursuant to a non-disclosure agreement and marked CONFIDENTIAL. This will insure that these disclosures do not bar your right to file for protection later. Develop a plan to exploit your invention and determine how much can be spent on protection. Then determine what features you don’t want your competitors to copy. Finally, obtain the appropriate protection to accomplish your objectives within your budget. Once an application is filed properly mark all materials with notice of your rights i.e. Patent Pending. Have an idea and/or invention worth protecting? 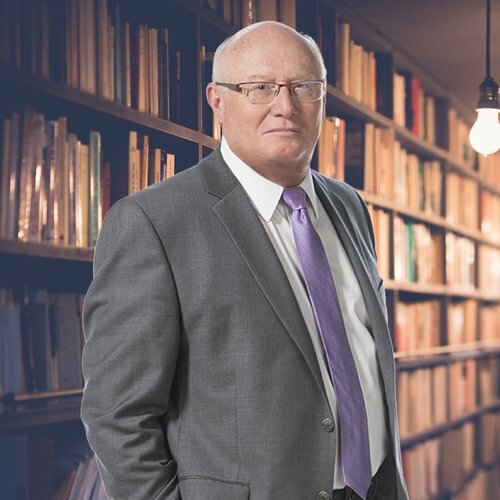 Jim is the most senior member of the Carson Law team and heads up our Carson IP division, which focuses exclusively on intellectual property matters. He also acts as a patriarchal figure to the firm by providing guidance, insight, and opinions that only come with 40 years of legal experience. Jim graduated from Queen's University with an undergraduate degree in Chemical Engineering before attending law school. At the time, he was told that his engineering background was a perfect fit for IP law, and they were right. Jim has since had the opportunity to work with a stable of international companies, start-up businesses, and innovators who use him, not just for his intellectual property knowledge, but because he also takes their overall business objectives into consideration when preparing his advice.